and attractive for years to come. and see our work every day. Established in 2001, Williams Paving specialise in all aspect of paving and landscaping including block paving, sandstone, porcelain, granite, resin and much more. No deposit and either payment on completion or structured stage payments depending on the project value. Specific time frames, access issues, other requirements? We will always work hard to ensure you are happy. We always ensure our working sites are safe, clean and free from any danger. Any material removed is disposed of or recycled legally in line with local council requirements, we hold waste carriers licenses to ensure the legal transportation of waste. We can be found on the MARSHALLS PAVING REGISTER. 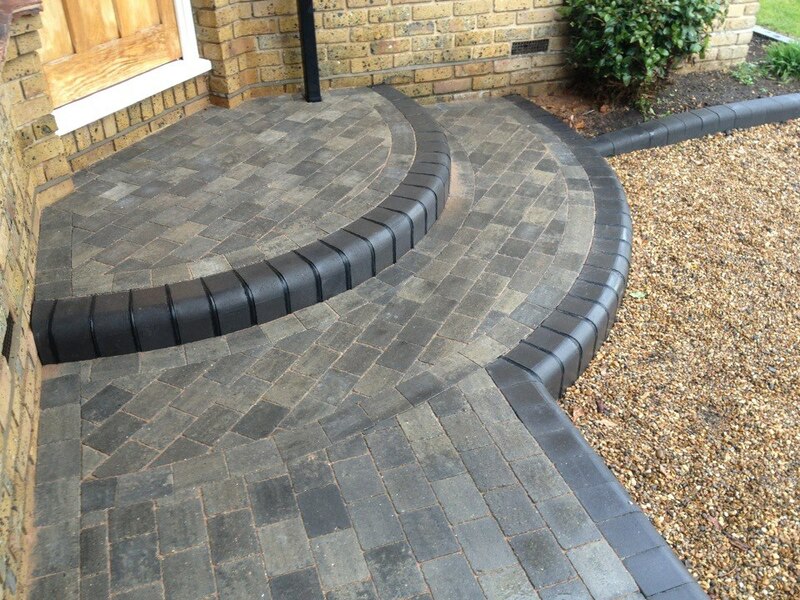 We apply a guarantee to all work carried out, if you use Marshalls materials then you also receive a Marshalls backed guarantee on installation and up to 20 years on certain products. Our work is covered by £5 million of public liability insurance and £10 million of employers liability. Create a layout that’s both functional and visually appealing. Choose a style from a wide range of paving materials and advise which materials will work best in terms of budget, quality and effects caused by weathering. To help you with ideas, please browse our showcase of completed projects or our gallery. If you have any technical questions we will try to help. Then when you are ready, please call us on 01245 327 144 or contact us online to arrange a site visit. We will discuss the design with you and prepare a written, structured quotation. “I cannot speak more highly of the block paving work which was completed by Williams Paving for us last year” The project predominately involved the more complicated work of infilling a “car turntable” at a residential address and the whole job was completed on time and very professionally. I would have no hesitation in recommending Williams Paving to anybody searching for an expert in the field.”. Williams Paving were delighted to receive this prestigious award for best driveway of 2011. Shortlisted from 1,000′s of paving companies across the UK.